This all-purpose BBQ Rub is smoky, sweet and HOT! It has a perfect blend of of sweet and salty. 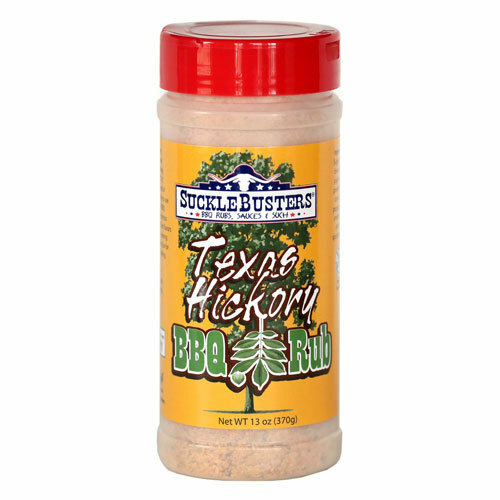 The smoky hickory flavor works well on pork and chicken. The rub has a nice burn and just enough heat to keep you coming back for more. Enjoy! Ingredients: Sugar, sea salt, brown sugar, paprika, chile powder, garlic, onion, black pepper, natural smoke flavor, pecan oil, spices and silica. NO MSG, Gluten free.